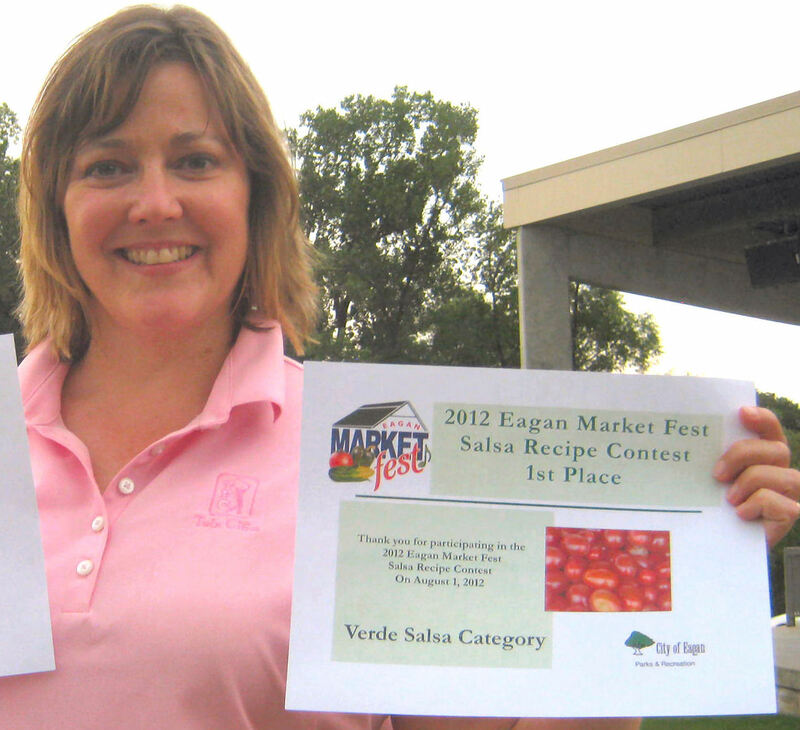 A few years ago I entered a fresh salsa contest in my community and took first place in all four categories. 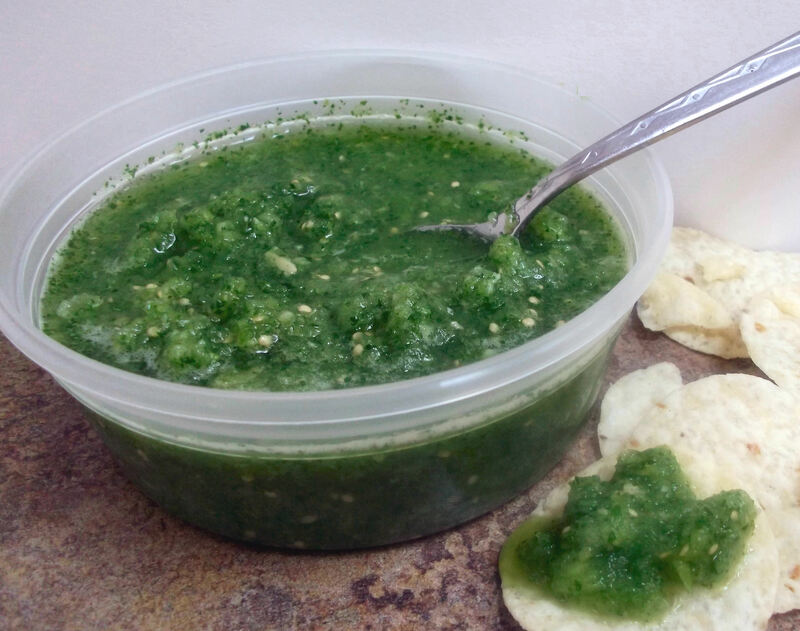 The year after that I took first place again with my salsa verde, so I guess it’s safe to say that this is truly an award-winning recipe. My dad helped me come up with ideas on how to make this salsa best in class as well as unique, which is how the fresh horseradish found its way to the ingredient list. The other ingredients are pretty standard and all meet the requirement of being green. Give this salsa a try, and just see how long it lasts. Make sure you have a full bag of chips on hand. You’ll need them. Cut each of the tomatillos in fourths and each of the shallots (or onions) in half. Remove the white core from inside the jalapenos and chop into fourths. 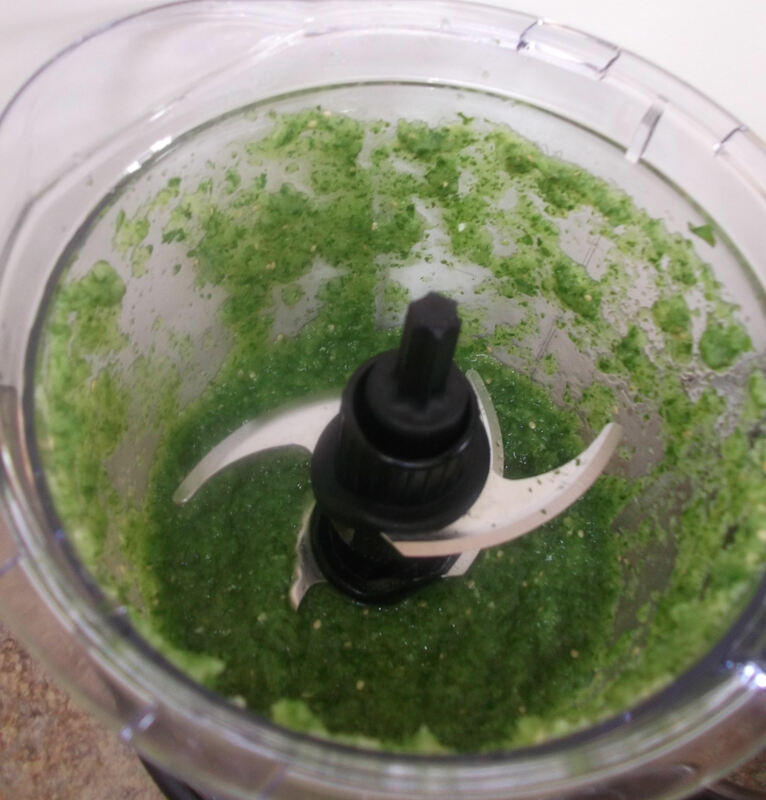 Place half of the tomatillos in a food processor along with the shallots/onions, jalapenos, garlic, cilantro, parsley, and mint. Blend on high until pureed and very smooth. Pour into a medium bowl. 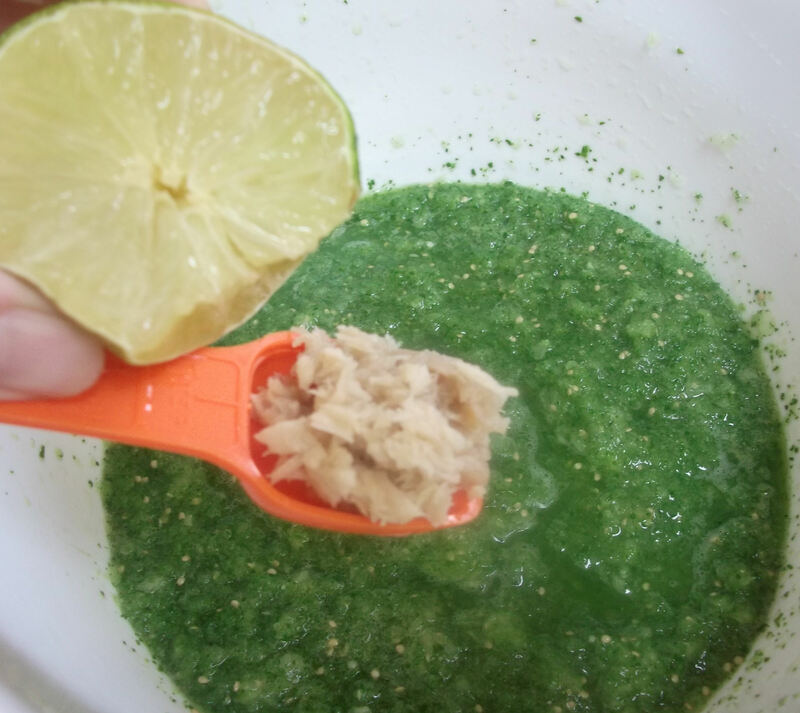 Add the remaining tomatillos to the food processor and pulse until more coarsely chopped, but not pureed. Add those to the bowl and stir in the lime juice, lime zest, horseradish and salt. 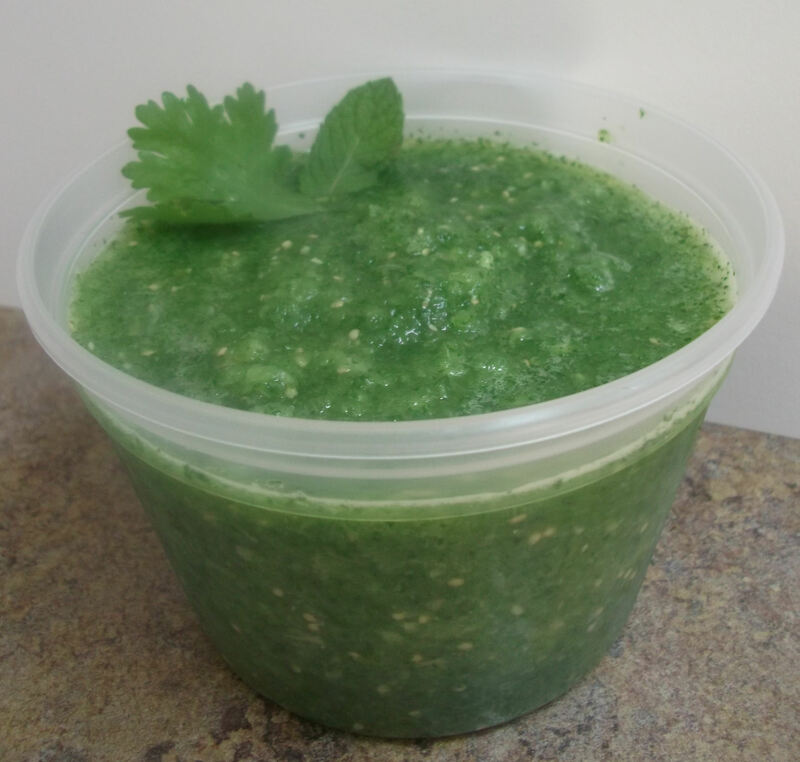 Salsa verde is a great way to use up fresh tomatillos. Or a great excuse to buy some. 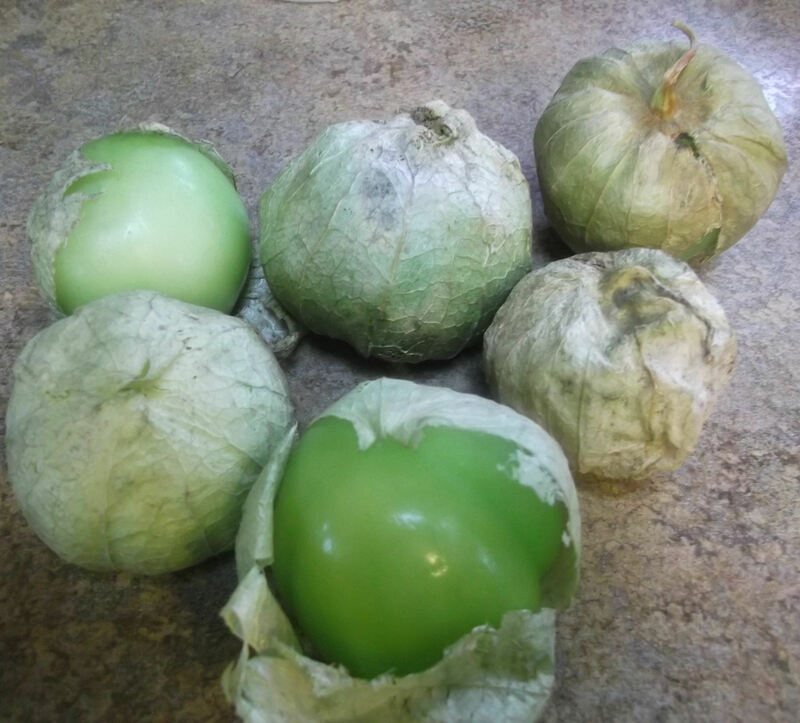 Remove the papery husks and cut each of the tomatillos in fourths. Peel the shallots (or onions) and cut those in half. Remove the white core from inside the jalapenos and chop them into fourths. 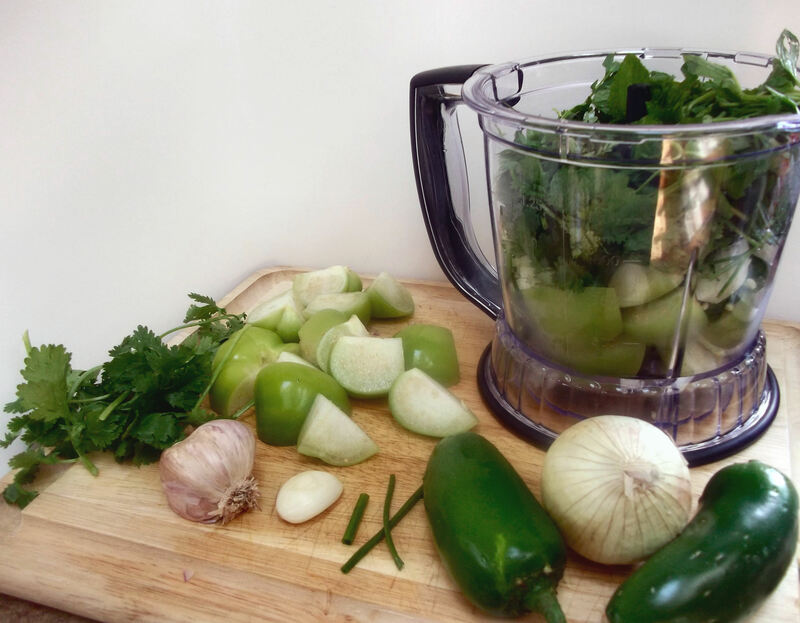 Place half of the tomatillos in a food processor along with all of the shallots/onions, jalapenos, garlic, cilantro, parsley, and mint. I even tossed in some chives because 1) they are green, and 2) I had tons in my herb garden begging to be used. Process on high until pureed and very smooth. And very green. And oh, the aromas! Pour this into a medium bowl. 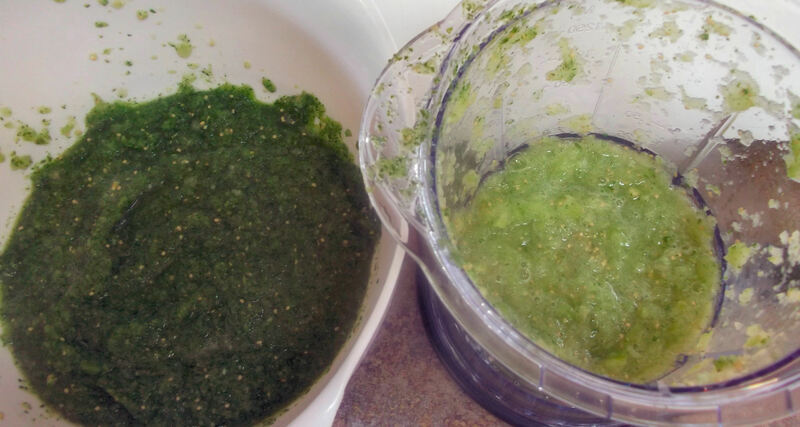 Add the remaining tomatillos to the food processor and pulse until more coarsely chopped, but not pureed. Add these to the bowl and scrape the sides of the food processor with a spatula as well—get as much of that green into the bowl as you can. You’ll thank me later when you’re down to the last spoonful and you know you did everything possible so as not to waste a drop. Stir in the lime juice, lime zest, horseradish and salt. Note: I buy my grated horseradish locally from Klara’s Comfort Foods. It’s so easy to use, as it’s already grated and it lasts forever in the fridge (or even the freezer). Store the salsa in a deli container or glass jar and keep refrigerated. Enjoy! Thanks for sharing your award winning recipe! This looks very interesting to me as some of the ingredients are very exotic. I’m not even sure if we can get tomatillos here in New Zealand. I’ve never seen them before. A quick Google search showed me a couple places you might find tomatillo seeds in NZ, if you are willing and able to plant and grow them yourself (plant at least two plants). If not, ask around in supermarkets that carry other exotic items — or request them! Thanks Diane, I had a look and found seeds too. I think I will have to track down some fruit first (and fall in love) before I invest in growing. I wonder though, I have had success with tomatoes except for the bugs who also love my plants. Would tomatillo be hardier because they come individual wrapped in a papery husk? It’s a good theory, but you’d be better off asking an expert gardener (or Google, again). I grow tomatoes but only tried growing tomatilloes once, and made the mistake of planting only one plant, so there were some pollenation issues and I didn’t get many. Good luck finding some to experiment with!